Football legend, George Weah, has been sworn in as the 24th President of the Republic of Liberia. Weah took his oath of office at exactly noon inside the 35,000 capacity Samuel Kanyon Doe Sports Complex in Monrovia. At least eight African Heads of States, including President Muhammadu Buhari represented by Vice Present Yemi Osinbajo, and international soccer stars witnessed the ceremony. 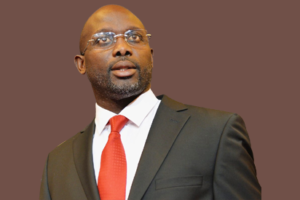 The post Breaking new: George Weah sworn in as Liberia’s 24th president appeared first on Vanguard News.